This piece was originally posted on Homegrown. Manish and Amir do swift high jumps when their turn in the class comes and everybody is left in awe. Both have been in class since 8:30 AM and their mentor and teacher, 72-year-old Yehuda Ma’or, is in no mood to end the class even after a gruelling 120 minutes of perfect pirouettes and sky-high leaps. Manish, 21, is soaked in sweat and decides to remove his light blue vest, hanging it on the bar beside him as it is stifling the freedom of his movements. Both Amir and Manish’s pink ballet shoes have turned brown and won’t last for more than a week, but they don’t fret too much with the knowledge that a sweet smile and an improvement in their work tomorrow will melt Ma’or into buying them new ballet supplies. 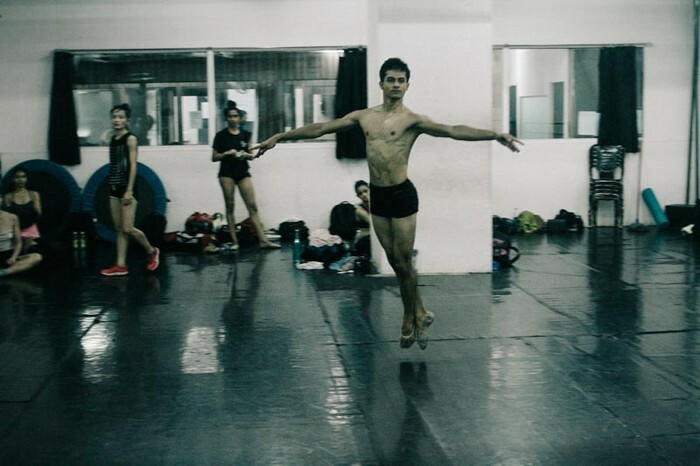 Navi Mumbai residents Manish Chauhan and Amiruddin Shah, 15, have been learning classical ballet for the last two years under their Israeli-American teacher Ma’or. Both have quit college and school to focus completely on ballet and so impeccable is their focus that Ma’or is pushing them as hard as he can with whatever knowledge he has. “They have to go to America because they need more than what I can give them. They have excelled beyond my imagination and I am very proud of them. 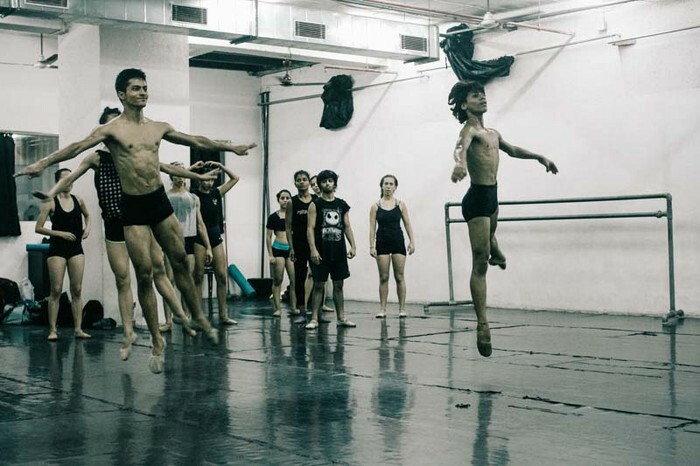 They could be India’s answer to ballet but it wouldn’t happen if they don’t have the exposure to international ballet,” explains Ma’or. While teaching these boys, Ma’or went a trip to America and showed their dance videos to the director of Joffrey Ballet School in New York, one of the top ballet schools in the world. The director was amazed at their ability and offered a three month scholarship to these boys. “They’re paying for everything, their tuition, meals, accommodation, travel and tickets to performances. We have applied for a Visa but I’m embarrassed to say that they have been rejected,” said Ma’or. Both have already missed a few days of their training in New York and are desperate to get a visa, which is beginning to get very expensive. 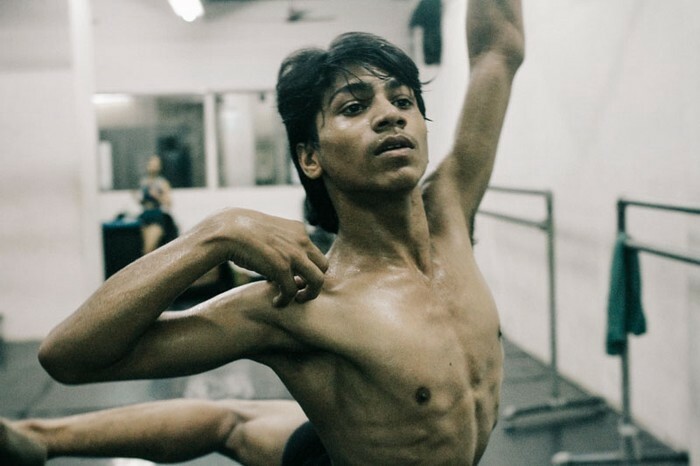 Manish’s father is a taxi driver and Amir’s father a construction worker, both can’t afford the ballet fees in the Danceworx academy of Performing arts where they are currently practicing. “I gifted myself a chance to work in a dance company on my birthday few years ago by saving some money. They had a going home project for which I auditioned and got a full scholarship. Amir didn’t even give the audition but Ma’or sir was sure he had a gift. Both of us have a full scholarship,” Manish said. Manish has come far from his B-boying days. “I used to do head-stand at my college in Koperkhairane. I was a huge fan of Akshay Kumar’s backflips in his movie Aflatoon so I tried doing it. People kept appreciating and I kept pushing myself. I have done jazz, contemporary, aerial, parkour, gymnastics and hip-hop, but now my complete focus is on ballet,” he says. Manish did not know a special cap existed to do head-turns in hip-hop. “I used to practice on the railway station as they had smooth tiles. I used a polythene bag below my head to give me the slippery feel and kept swirling upside-down and with each day I kept increasing the number of turns I took on my head. Those were so easy to do now that I have to do pirouettes. They are so hard to get right, but I will do it,” he says with huge conviction. Manish was inadvertently trying ballet moves without knowing. “I started dancing when I turned 18. I used to see these turns and copy them. 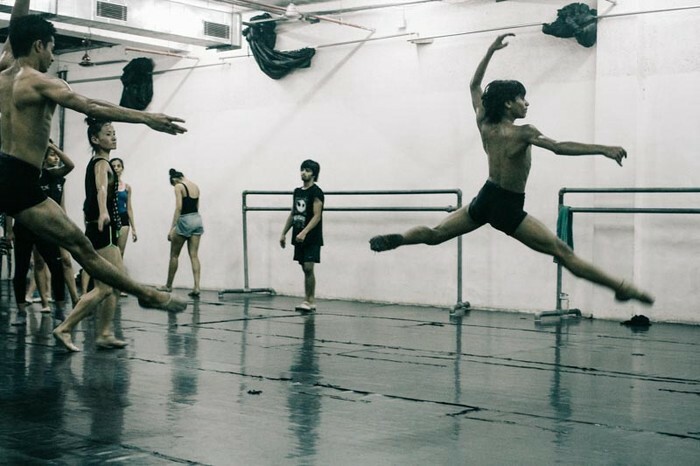 When I came here I realized it was ballet,” he said. Amir joined the academy as one of the troupes needed a person who could do cartwheels and back-flips. He was only 12-years-old back then. “My elder brother used to dance here and he asked me to join. I was practicing at the Pali Hill studio and just stretching my body. Yehuda sir was there and he asked me to stretch my foot. He just liked it so much that he took me out from there and put me in ballet. I began from junior ballet and got promoted to senior ballet but I made a mistake so I was demoted again but then I was promoted again,” explains the 15-year-old enthusiastically. “Why don’t you tell them how you slept in the middle of class,” teases Manish. Today, both have crossed the senior level and dance at a company ballet level. Ma’or keeps insisting that Amir complete school but he can’t seem to concentrate. “Mera padhai mai mann nahi lagta(I don’t like to study), I joined a night school but only my name exists there,” he says. 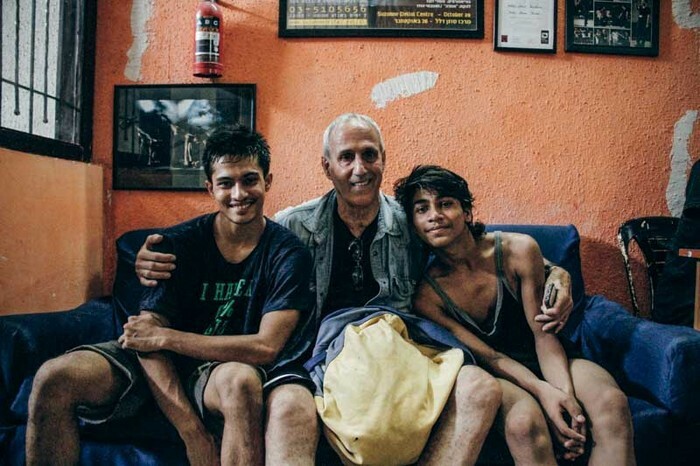 “Amir has an incredible gift that not many ballet dancers have. 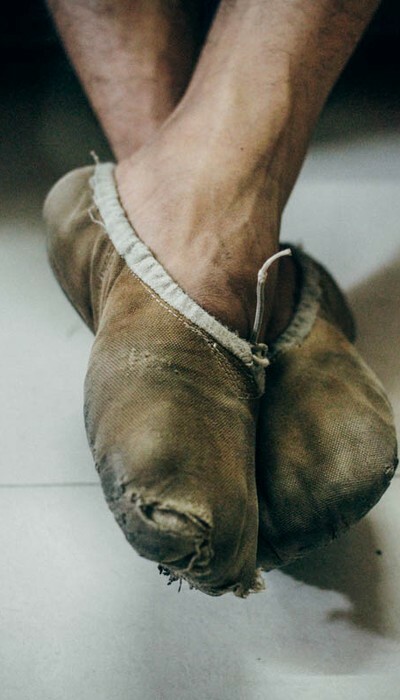 He was born with incredible natural arched feet that are god-sent for any ballet dancer,” Ma’or insists, his indelible belief in these boys’ potential apparent throughout the conversation. Amir keeps working to keep his arch in practice by catching a small, glass attar bottle with his toes. Both of them practice for six hours daily and take breaks in between only for food and rest. All they want to do is pursue ballet but financial constraints often come in the way. “I buy their shoes, clothes and drive them around in Uber cars. I do not let them ride in an auto rickshaw because Mumbai is dirty. Students keep falling sick here. I can’t let them fall sick. I have given money to Amir to travel 1st class in local trains and all of this comes out of my pocket. An American girl here started a Go Fund Me page for these boys to raise money for their travel and expenses for America but we are far from our goal,” said Ma’or. “Sir also bought us cell phones,” said Amir. Manish will have to pay an additional Rs.10, 000 for his new tourist visa form as he got rejected by the consulate. Amir needs a student visa which is a lengthier and a more expensive process as he is not old enough to travel alone. “It’s so embarrassing that talents like these won’t be able to learn from the world’s best because the consulate won’t budge. All his papers are in place and yet I don’t know why they keep doing this. I have written a long e-mail to the ballet school of New York to inform them about our predicament. I hope they still allow them to come. It could change their world and the perception of Indian ballet scene. Nobody works as hard as these two. Their lives are consumed by ballet,” Ma’or said. Manish has already received numerous offers from Indian dance companies and foreign ones. “I have received an opportunity from Macau and they want me to train in California. I could be in their next Nutcracker recital and all I want is a visa,” Ma’or said. 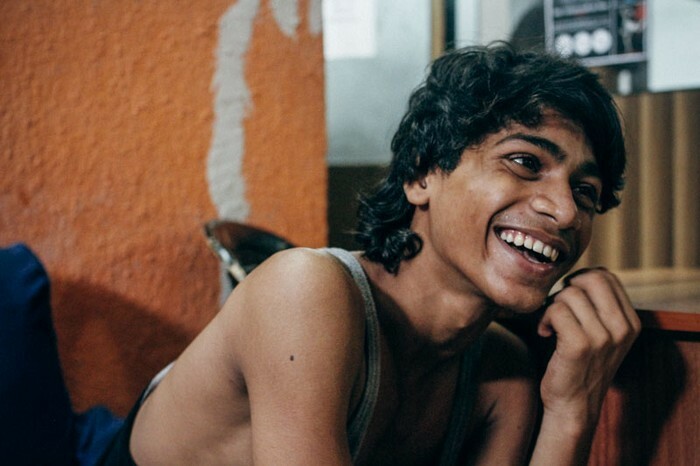 Amir has five brothers and two sisters who live together with their parents in Sanpada. They are supportive of his dreams but can’t afford his tuition. Manish lives with his parents and his younger sister in Panvel. His family, too, is supportive of his dreams and want him to do what makes him happy. “All my family says is, whatever you do, work hard and be happy,” says Amir. Manish realized long back that he only had to keep improving to keep going ahead, money hardly mattered. “I used to feel that I don’t have any money to learn dance but things have changed since I came here. Now I know that you can give money to learn dance but only hard-work can get you scholarship. The better I become, the more I work on my body, the better it is. Doors just open when you keep doing what you love with determination. Money hardly matters then,” he says almost like a seasoned player. Manish’s idol is Mikhail Baryshnikov, one of the greatest ballet dancers in history and Amir’s idol is Daniil Simkin. “Main jabhi unhe dekhta hun, aisa lagta hai ki unki aatma mere andar aa gai hai. (Whenever I watch him dance, it is like his spirit enters me),” says Amir with much teasing from Manish. “They need to watch live performance. Watching videos on smartphones is not going to help. There are no ballet performances in India that they can learn from and neither does this country have an opera house. They need to see an accomplished ballet dancer in action,” said Ma’or. 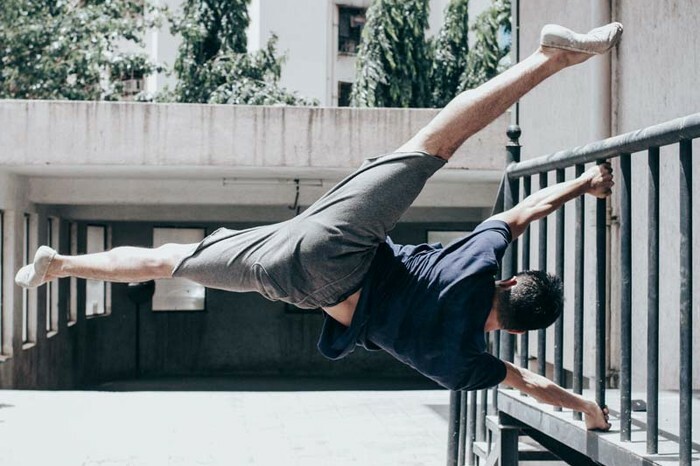 “If I see a professional dancer and he does something I can’t, I can ask him how he did it and he will teach me, I can’t do that with my smartphone,” said Manish. “When these two boys come to the class, all the students work twice as hard,” said Ma’or. Amir gets a signal from his teacher about his footwear. He is not allowed to walk barefeet to preserve his arch. He rushes to get his slippers. “A dancer has a short career span and can achieve a lot while they can, after that they can be instructors and choreographers, we would like to contribute to our country in the future with our dance,” said Manish. Ma’or said that Indians are very protective about their classical dance but should encourage other art forms as well. “In America, people applause after a performance, here people shout and applause throughout the performance, even when a dancer has to focus on a complex movement. We need to educate people about that,” he said. Ma’or is a tough task master and unpleasant when training, but as soon as he is out of the studio, he is the doting grandfather of their dreams. “Amir taught me some Hindi abusive words,” he admits while everyone else bursts into nervous laughter. “I keep telling them to eat healthy but they sneak out and eat Pani-Puri in the streets,” he says as Manish laughs about eating avocados. The three of them are as in tune as Tchaikovsky’s Swan Lake. If only they could get their swan song in the near future. You can help fund their ballet dreams here and by sharing this article so more people get to experience the tremendous talent of these two boys.